When photographing children's parties, we never know what surprises a theme might bring. 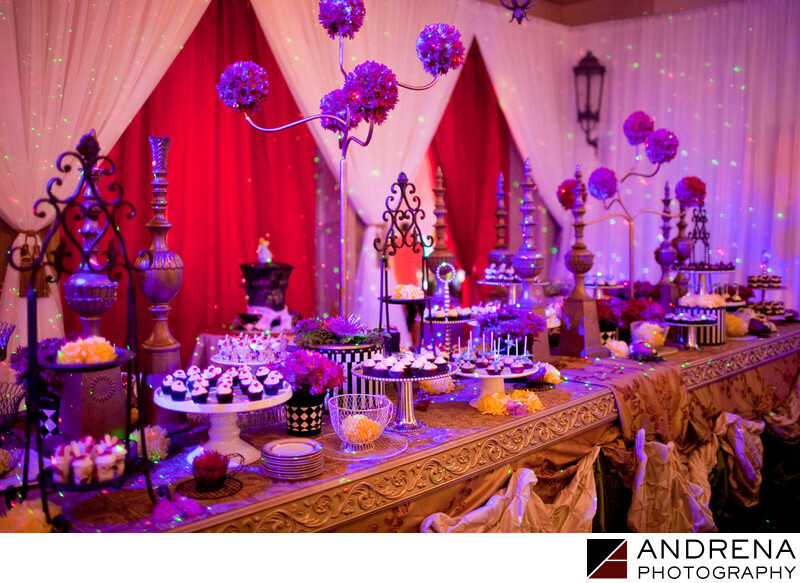 For this party, the theme was Alice in Wonderland, and this Mad Hatter Dessert Room was truly a sight to see. The flecks of colored light were provided by a projector mounted to the ceiling. The room itself was adjacent to the main party tent, and was opened up after dinner. From the visionaries at Sonia Sharma Events.